Fruits contain natural sugars that are healthier for you and considered less damaging to your overall health than foods with added sugar. Foods such as cookies, cakes and soft drinks all contain added sugar. Although fruits contain natural sugars, if you are diabetic or need to monitor your sugar intake more closely, you should understand how much sugar is included in certain fruits, such as the pineapple. Monitoring sugar intake can be tricky because it is often included in prepared foods to contribute to taste. For this reason, recommendations vary on how much sugar is considered healthy. The American Heart Association states that no more than 150 calories from sugar should be consumed each day. The US Department of Agriculture is a bit more lenient, stating that technically 267 calories of a 2,000-calorie diet can be consumed as discretionary calories, which includes sugar. Various forms of pineapple typically fall somewhere between these recommendations. The recommended serving size for fresh pineapple is 1 cup, which contains 14 g of sugar. This amount equates to 74 calories. Fresh pineapple contain the lowest concentration of sugar when it is served in its purest form. 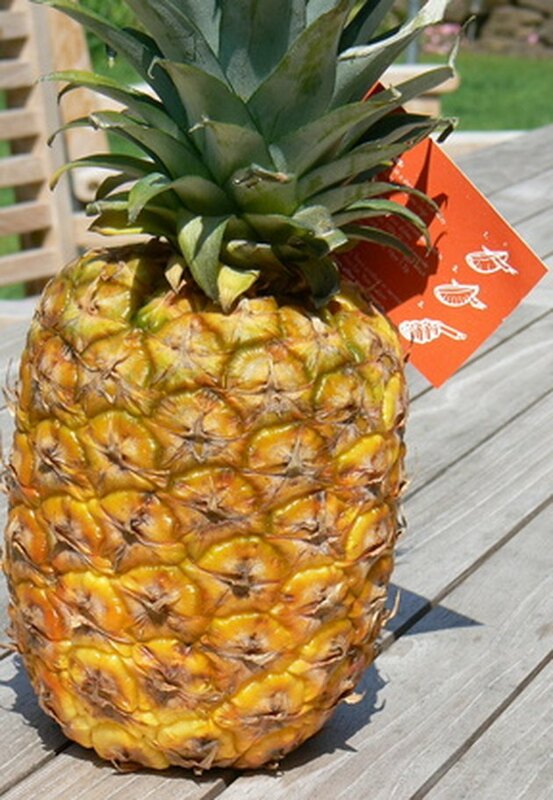 Canned pineapple typically has more sugar in it because it is stored in juices to preserve its freshness and flavor. These juices often have additives and flavoring to assist in this process. The recommended serving size for canned pineapple is 1/2 cup, which contains 80 calories. A 1/2 cup serving of pineapple contains 17 g of sugar. Dried pineapple is a favorite snack item often eaten in lieu of chips or candy. It is also included as an ingredient in trail mix. The recommended serving size for dried pineapple is 1 oz. This amount contains 85 calories and 16 g of sugar.